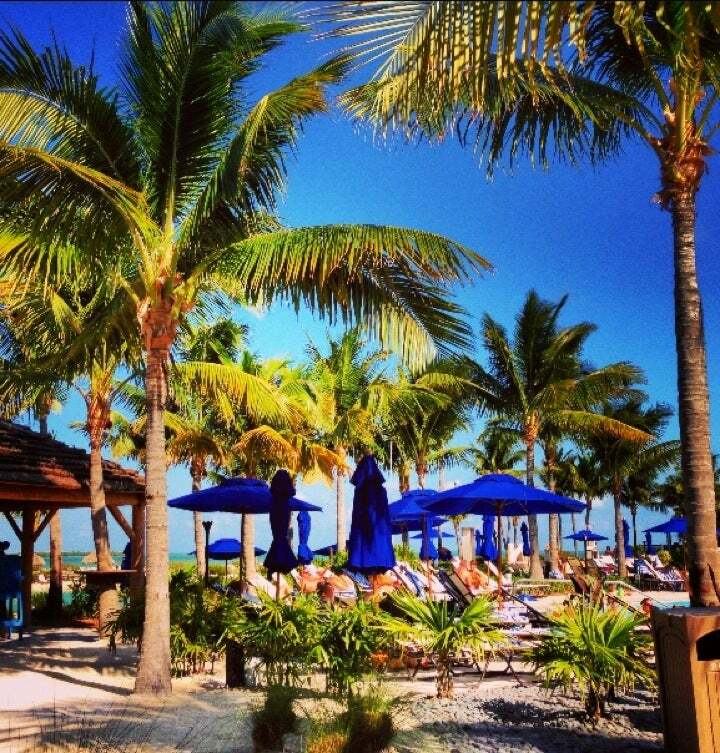 Why Go: Hawks Cay Resort sits on 60 acres in the Florida Keys. The resort is the ideal vacation spot for families, centered on fun in the sun with basically every water-related activity imaginable while simplifying the experience for parents. This winter, the hotel finished a resort-wide renovation that gives it a more modern, nautical feel. The renovation is an extension of a $1 million culinary and an overhaul of its kids club, home to the famed pirate ship pool and Island Adventure Camp, with the addition of a synthetic turf playing field and a new putting course. An AAA Four Diamond Award winner, the resort boasts a total 402 villas and hotel rooms, four restaurants, a saltwater lagoon, five swimming pools, an award-winning spa as well as onsite watersports, fishing charters and a Dolphin Connection facility. Room Options: The main hotel has guestrooms featuring classic West Indies island décor. It’s color palette and textures contribute to the rooms’ cozy, relaxed vibe. Each room has wireless Internet access, a large flat-screen LCD TV, marble showers and baths, a desk with chair, a balcony and a Keurig coffee maker. There are six room categories: Standard, Island View, Water View, Premium Lanai, Premium King and the Presidential Suite. Their collection of two- and three-bedroom villas is ideal for families, featuring complete kitchens with granite countertops, stainless steel appliances and oversized decks – most with water views. For value-conscious travelers, their new family suites for value-conscious families (there are 16 total and they feature full-size beds and bunk beds for the kids). Just for Kids: The beauty of the Florida Keys is that water activities take place all year long. There is no question kids will join up with other kids in the pool or lagoon. There are several pools, tennis courts with lesson, a kids club, a full service marina, a unique and a saltwater lagoon for swimming and playing, the Dolphin Connection, and much more. The Indies Club is the resort’s kids club at Hawks Cay where they offer activities with educational components based on arts & crafts. Kids can participate in noodle races, arts & crafts activities, play video games or just chill out with a fully trained staff. The resort also offers bike rentals, sports fields, and volleyball and basketball courts, and the Dolphin experiences are top-notch for kids. Where to eat: Ocean is the resort’s main dining room, featuring a stone pizza oven and a design that embraces the look and feel of the resort. They offer a buffet or a la carte menu with plenty of options that appeal to children and a relaxing environment. The Beach Grill provides the family-oriented areas of the pool and saltwater lagoon with a casual menu of delicious fresh seafood, sandwiches and salads for easy lounge chair-style dining and a beautiful oceanfront view. Indies Grill is located in the Indies Club and offers yummy meals and snacks for kids of all ages. For a more upscale experience when you have childcare or for a night out with the family, head to Alma for gorgeous seafood with a Latin flare. Whatever you do, don’t pass up the Key Lime Pie. For families who don’t want to leave the room, the hotel offers full room service. Getting There: Hawks Cay is on Duck Key, surrounded by the Atlantic Ocean and the Gulf of Mexico. Key West is 60 miles south, and Key Largo is 46 miles north. The resort a 2-2-1/2 hour journey from Miami or Fort Lauderdale airports. Getting Oriented: The resort hosts a number of guests year in and year out, so chances are if you ask a guest a question, they’ll have the answer. The staff is well trained and makes most everything manageable with kids, from paddle boarding to sunset cruises. The resort has something for everyone and offers an air of tranquility, partly in lieu of a staff that seems to really love their jobs and is eager to share their bit of paradise with guests. Insider Tips: When making reservations, look for packages and deals online. Accommodations at resort vary in size and cost; do your research and establish the best fit for your family. The Dolphin Experience is the only resort-based program of its kind where guests can interact and swim with dolphins in their natural environment, and it is the only facility in the mainland U.S. that offers free public viewing of trained dolphins. The highly skilled team of tennis professionals, led by Head Tennis Pro Michael Stedronsky, offers clinics, mixers, camps and lessons for all ages and skill levels. Holly Rosen Fink of The Culture Mom contributed this to MiniTime. Great new discounts for families to take advantage of this spring. In Orlando, we check out this popular Universal Studios hotel.